The takeaway business continues to boom no matter where we go. People always need some replenishment after a long day’s walk or a quick dinner when they haven’t got the time to cook at home. If you are considering to start your own takeaway, you first need to consider several factors to ensure success in the future. As with most businesses, you can’t run a takeaway without hiring people to look after it. These employees work on the front-line of your business, getting all the stress and pressure of day-to-day operations. Aside from their salary compensation, you also need to take care of their well-being, providing them with insurance benefits and other allowances. If you think you don’t have the resources to hire and manage people for your business, a takeaway business may not be your best bet. Since you are working in the food industry, you need to comply to federal and state health and safety rules and regulations. You can expect food inspectors to visit your business periodically or, in unfortunate cases, in response to customer complaints. Your takeaway business should follow the standards for food handling and storage and to general cleanliness to keep your consumers safe and to prevent your business from being put down. Takeaway businesses often require your full attention, if you want to constantly be on top of your operations. Aside from the time you spend overseeing the day-to-day experience your customers are getting, you also need to look after business development related to selling, buying, and logistics. It’s safe to say that a takeaway business works only for entrepreneurs who are planning to be full-time businessmen. 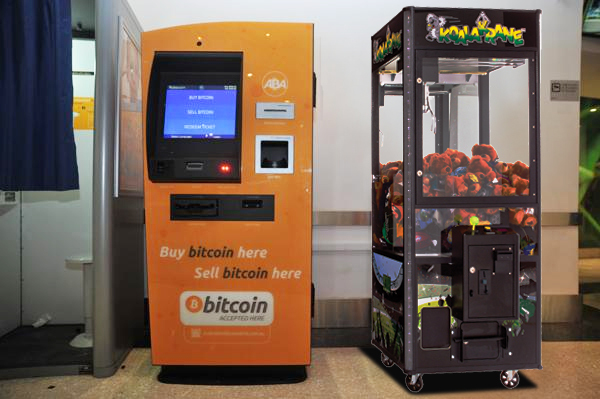 If you think the demands of a takeaway business for sale is not for you, getting a toy vending machine franchise should be an excellent small business opportunity to start with. The good thing about starting a franchise is that there is less room for mistakes as you only need to follow an established business plan that has been proven and tested by other franchisees as well. Unlike a takeaway business, a claw machine franchise does not need personnel for it to work. You simply need to set up your machines in profitable locations, leave them, and come back after a week to collect your earnings. They don’t require much maintenance too. Want to know more about this awesome business opportunity? 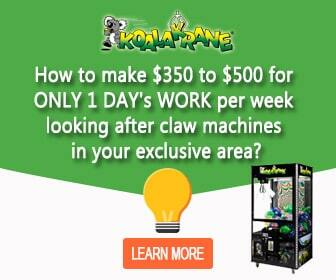 Give us a call today and know how you can own and operate your own claw machine business today!